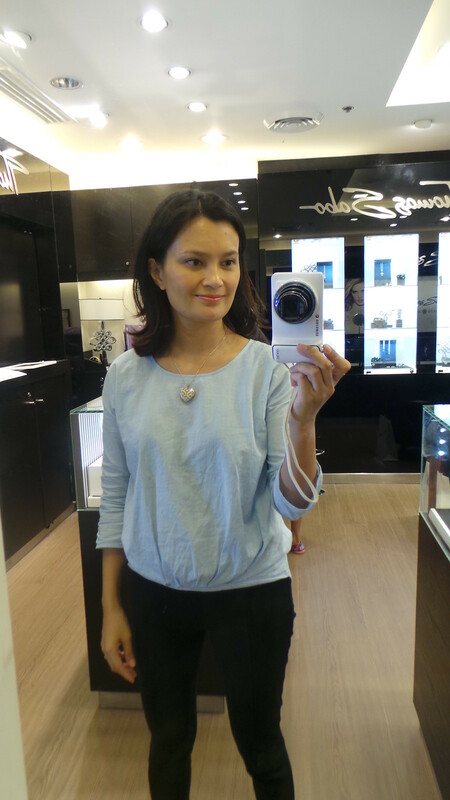 I got invited by my new blog sponsor, Thomas Sabo, to see their 2014 collection at the Mega Fashion Hall in SM Mega Mall. I’d always been curious about this brand. 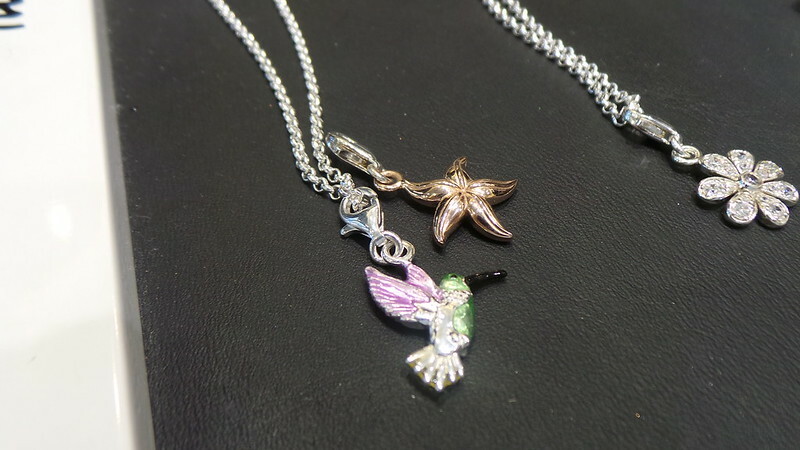 I am most familiar with its comprehensive line of charms that I often see at the Rockwell branch. 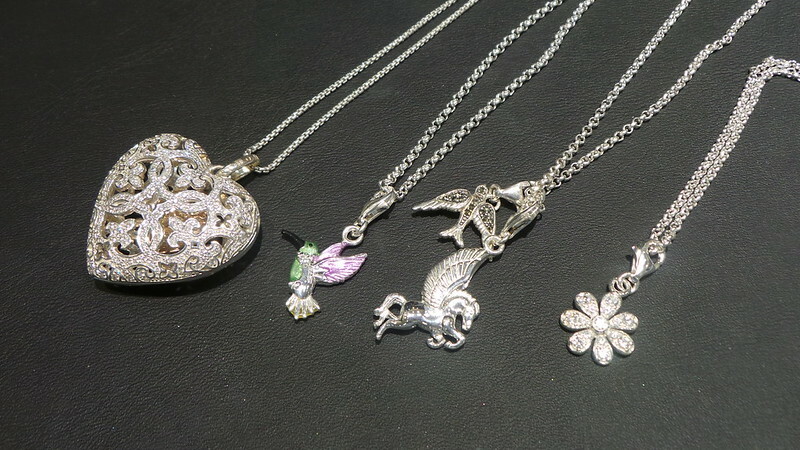 Little did I know that this brand of sterling silver jewellery offered more than charms. They had some pretty serious bling. 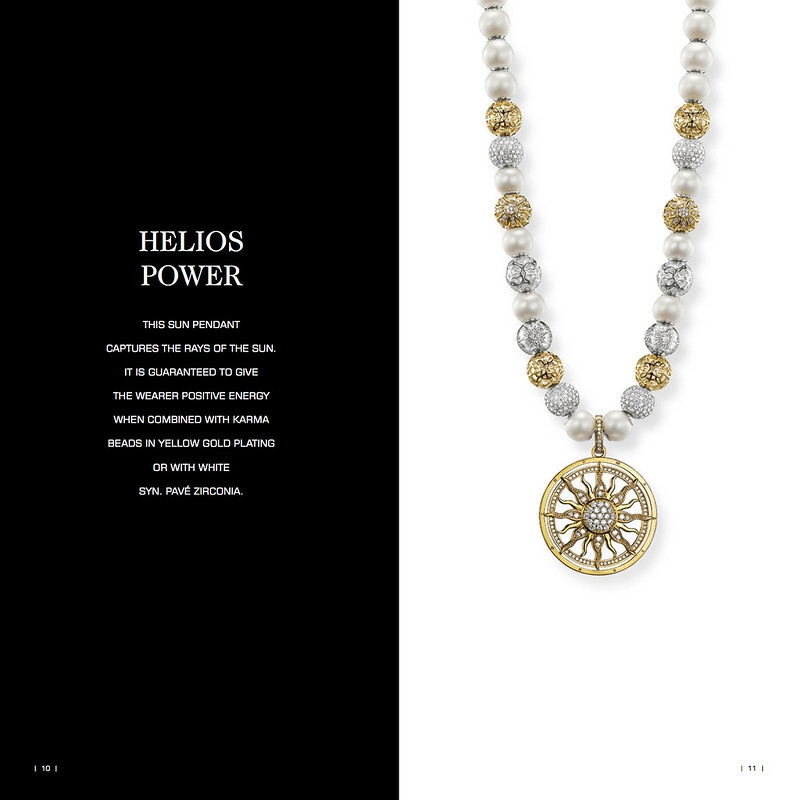 Thomas Sabo is a lifestyle brand founded in Germany in the 1980’s. 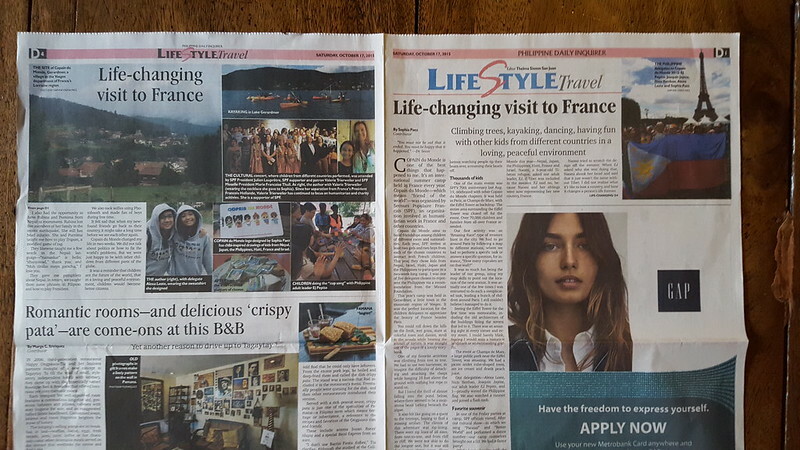 As one of the leading providers in the jewellery, watches and beauty segment, the lifestlye company is present in 66 countries on all five continents with around 132 stand-alone shops and 107 shop-in-shops. 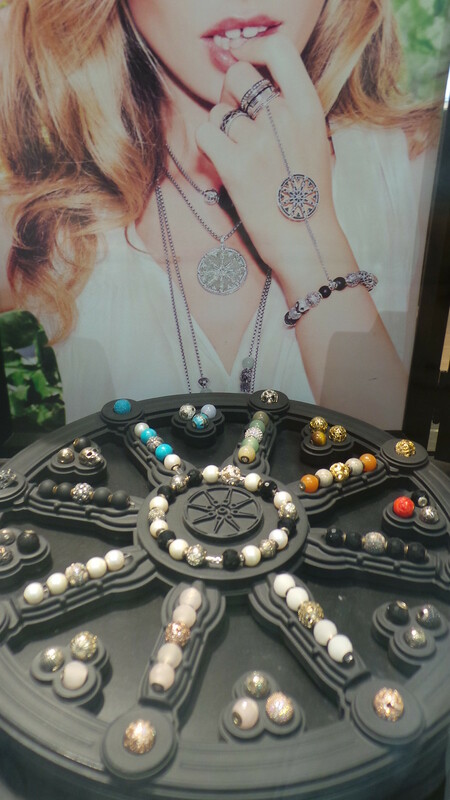 The newest Thomas Sabo in the Philippines can be found at SM Fashion Hall in SM Mega Mall. 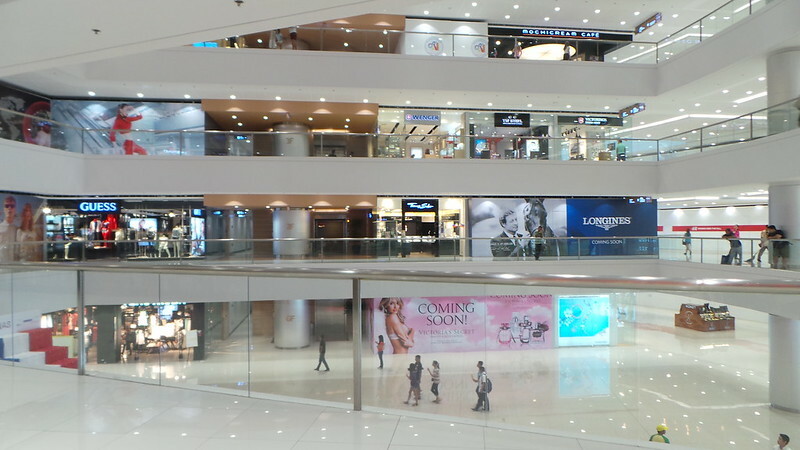 The store had its signature black and white facade and interior. I brought my eldest Sophia with me. She’s a charm collector and was on the look-out for a special pendant. After seeing hundreds of charms, here’s what we decided on. My three girls got a hummingbird, a pegasus and peace dove, and a daisy. I got that gorgeous heart locket. Sophia chose this intricate Pegasus, one of her favourite make-believe animals. 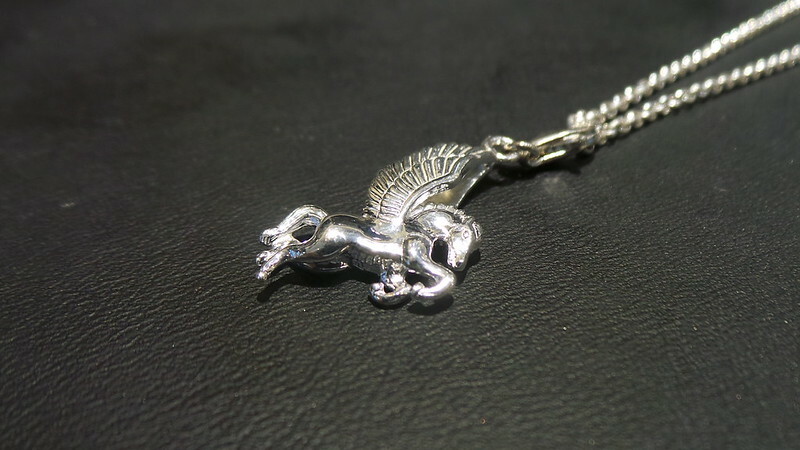 All the charms and chains are in sterling silver, by the way. I initially wanted to get Lily a flower charm. I thought that was a lily but it turned out to be a star fish. The hummingbird is significant to our family because its the only bird that can hover. Thus it symbolizes my dad, the helicopter pilot. 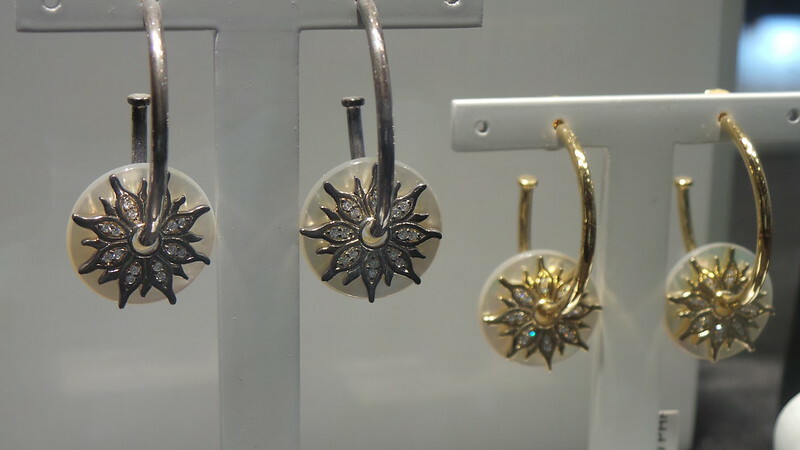 The daisy charm is for Stella whose second name Margarita is also a name of a type of daisy. I got the mother of all pendants. 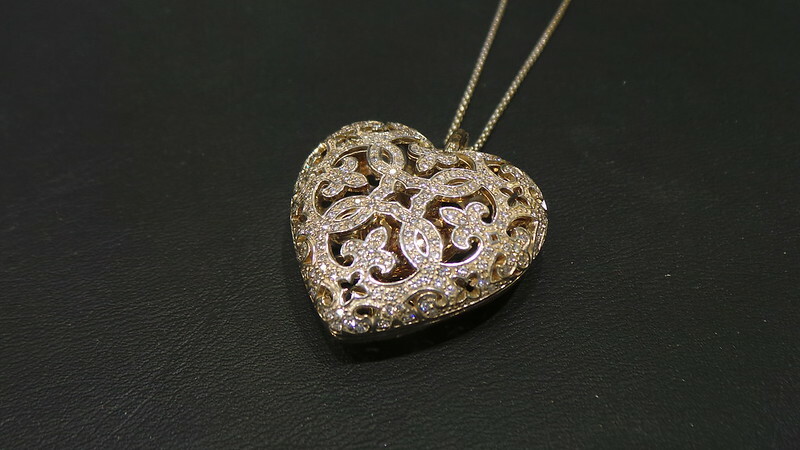 This gorgeous sterling silver heart locket encrusted with pave cubic zircona from the Glam & Soul line. 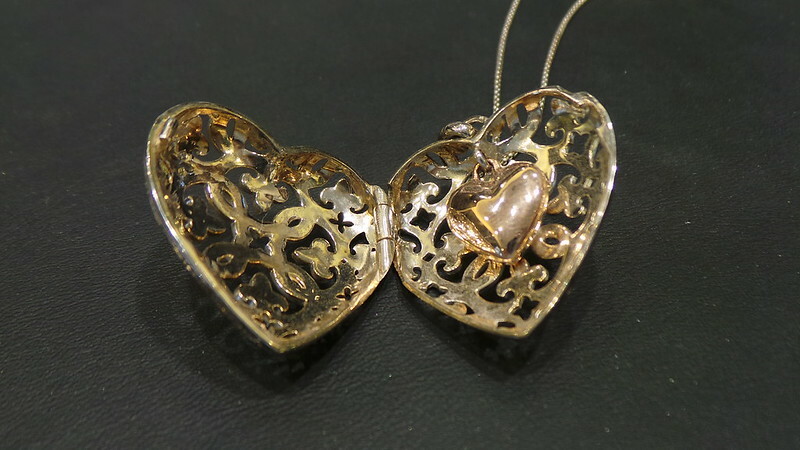 There’s a tiny 18k rose gold (plated) heart inside the big heart. I always tell my kids that Mama has the biggest heart and all my bunnies and more can fit in it. Hinged-hoop earrings both in 925 Sterling silver – the one on right is 18K yellow gold plated. The stones are white zirconia and the discs are mother of pearl. These earrings work double duty. You can replace the discs with other charms. 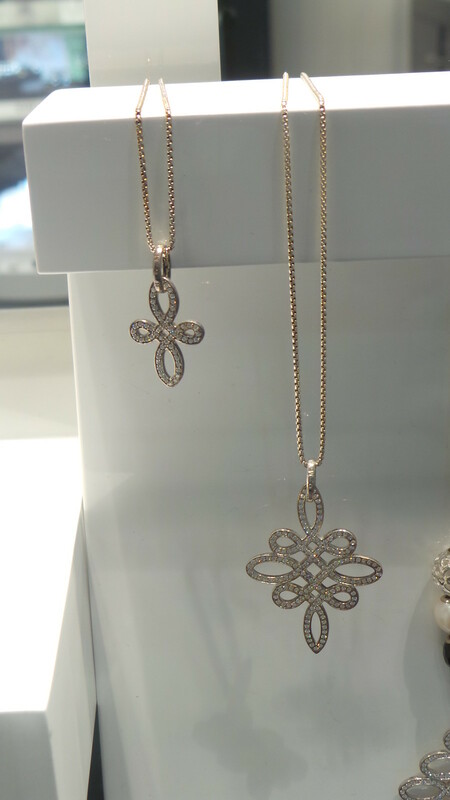 Love knots in pave zirconia set in gold plated sterling silver. 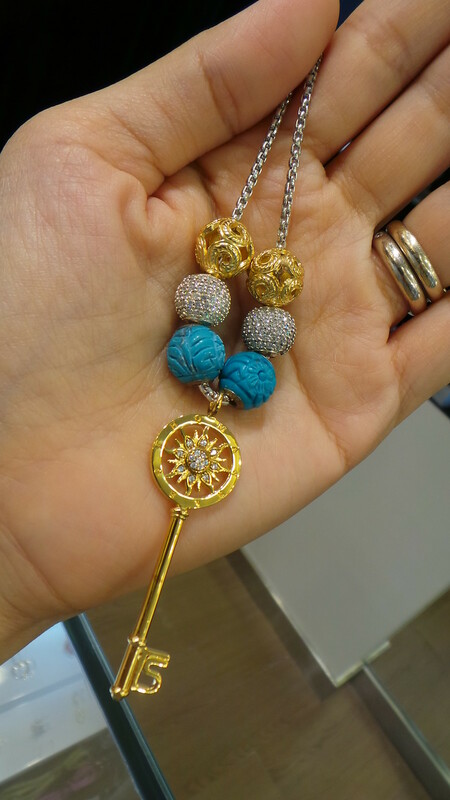 This 18k gold plated sterling silver key pendant, surrounded by beautiful Karma Beads. 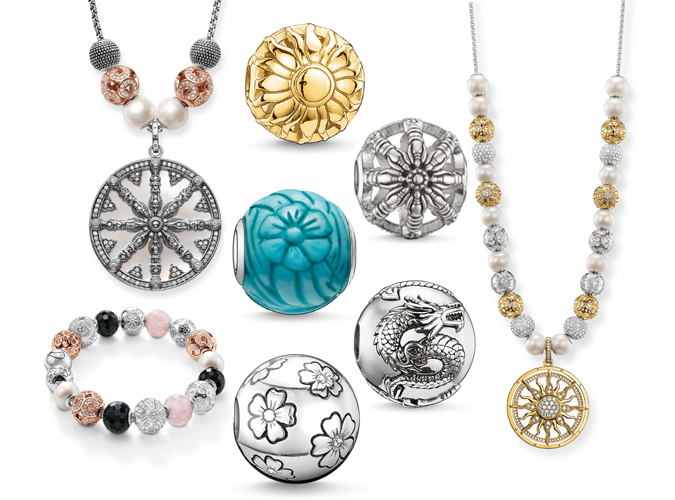 There are 72 different Karma Beads that you can choose to personalise your own jewellery. 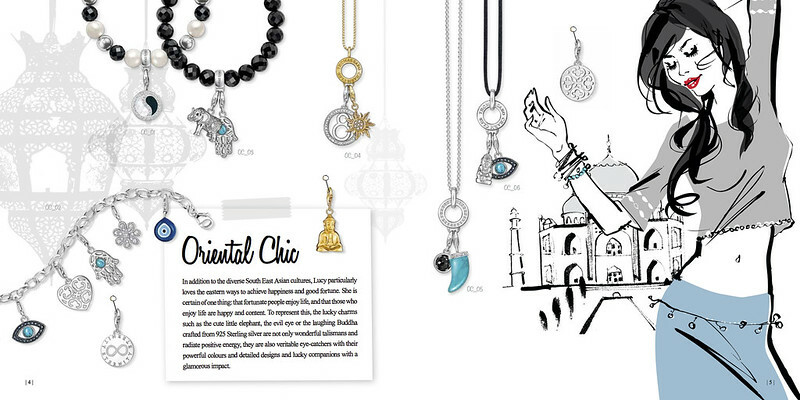 All available in Thomas Sabo branches in the Philippines. This is how the Karma Beads are worn: The Beads, or the ‘Wheel of Karma’, are added to new bracelets and necklaces made from 925 Sterling silver, which are fastened by means of a bead element. The beads are added as desired, with stopper beads varying the position of the beads on the bracelet. You have the option of wearing it with just one bead or ‘fully loaded’ – the result is a personalized piece of jewellery. Thank you to the team at Mega Fashion Hall for assisting me and Sophia. 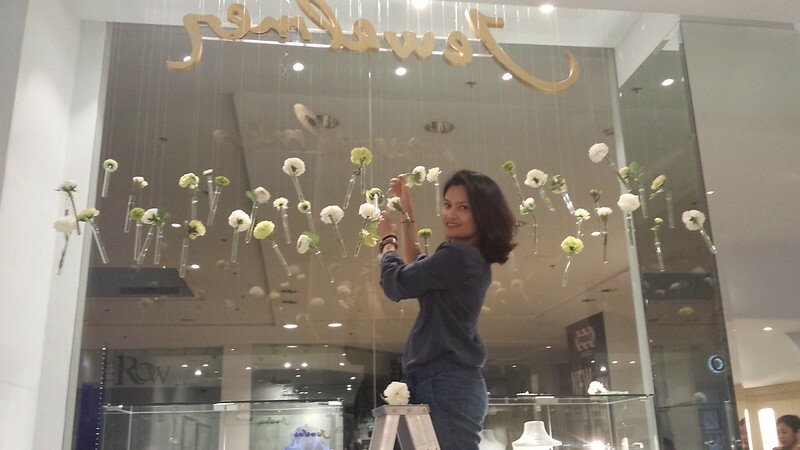 For more information on Thomas Sabo Philippines, check out their Facebook Page here. 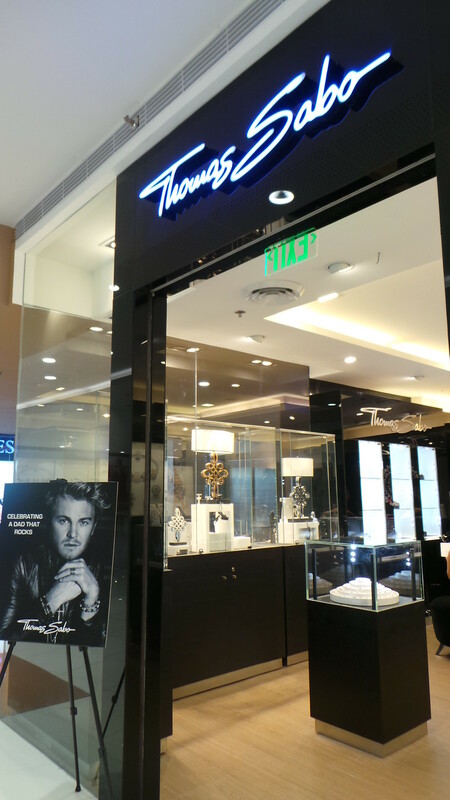 Or check our Philippine branches of Thomas Sabo at Rockwell Power Plant Mall, Shangri-la Plaza, Alabang Town Center, SM Mall of Asia, SM Megamall and Trinoma. 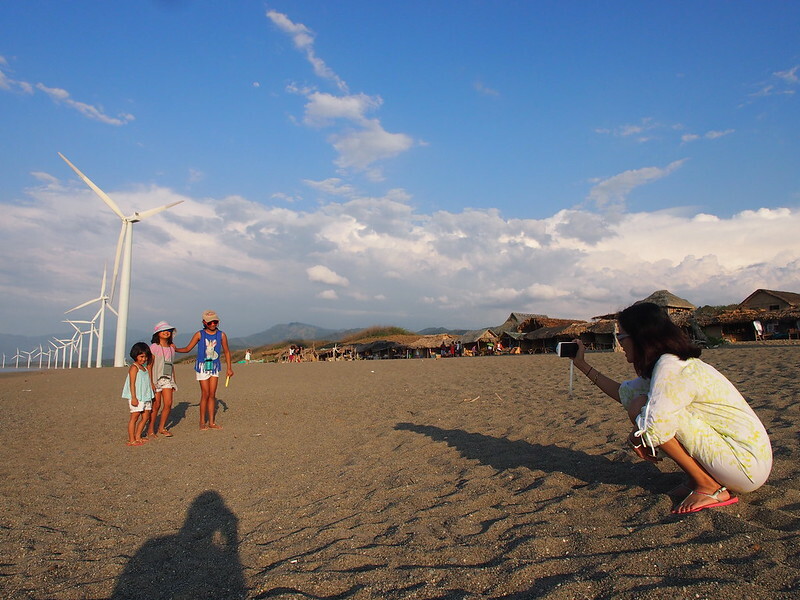 I’ve got a few more stories from our Ilocos Norte visit. It is possible to see much of the province in a couple of days if you rent a vehicle and just go to the various towns. Everything is less than an hour away by land. 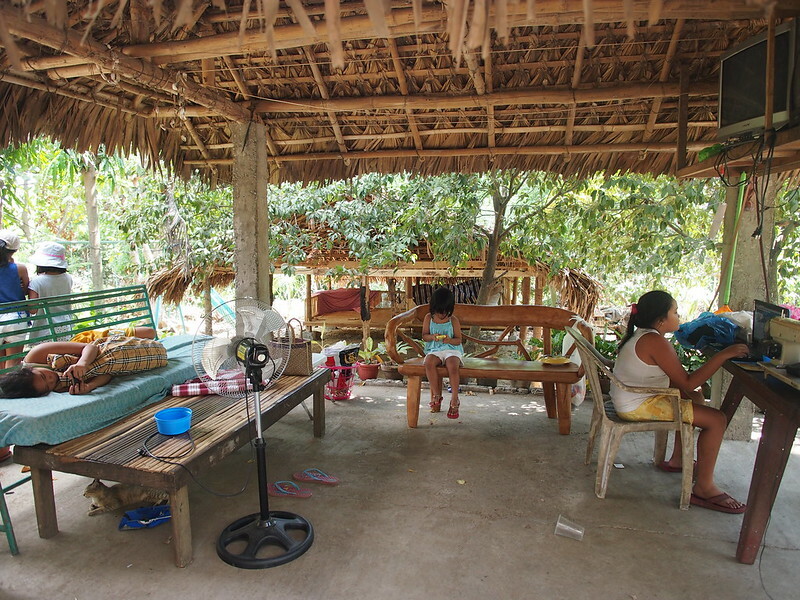 Our home base was in Paoay, in a beautiful private house by the sea. 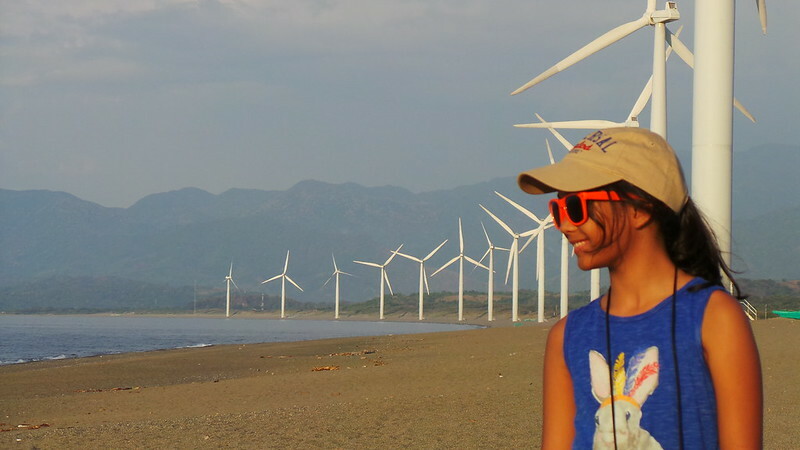 One of my must-sees was the Bangui windmills. 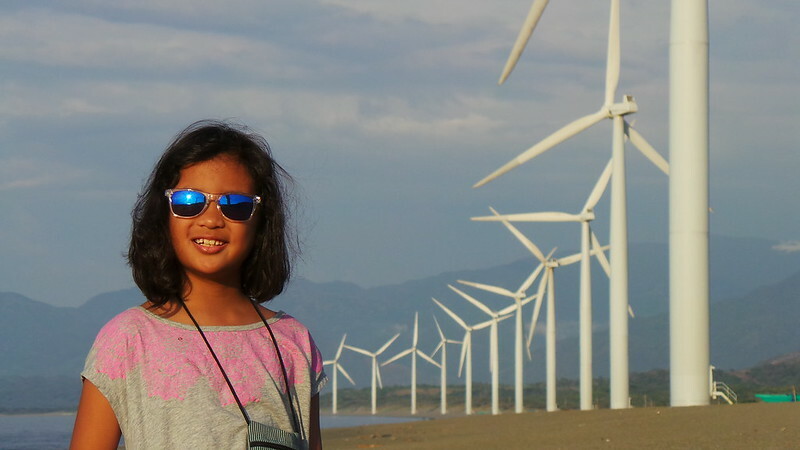 I hadn’t seen them before and I wanted the kids to see the massive infrastructure. So we made time for that. 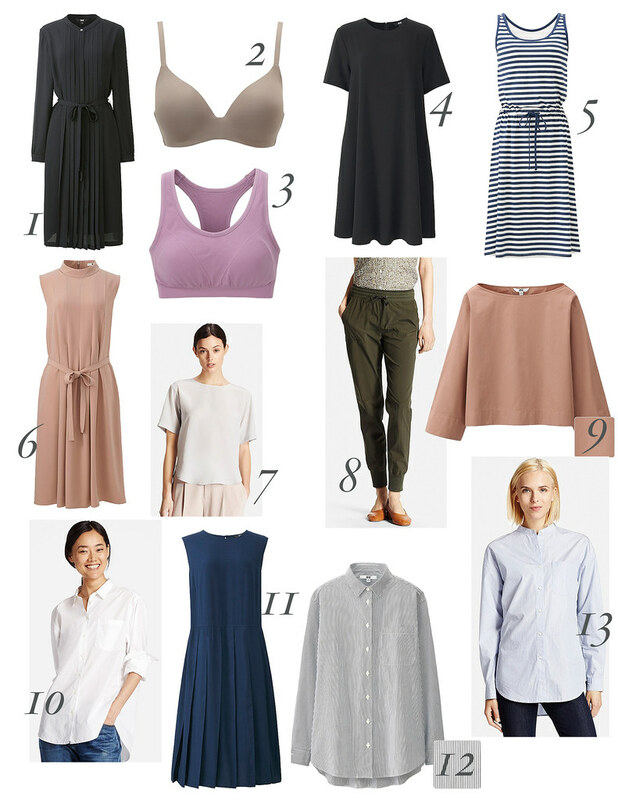 Here’s what we did on our third day. 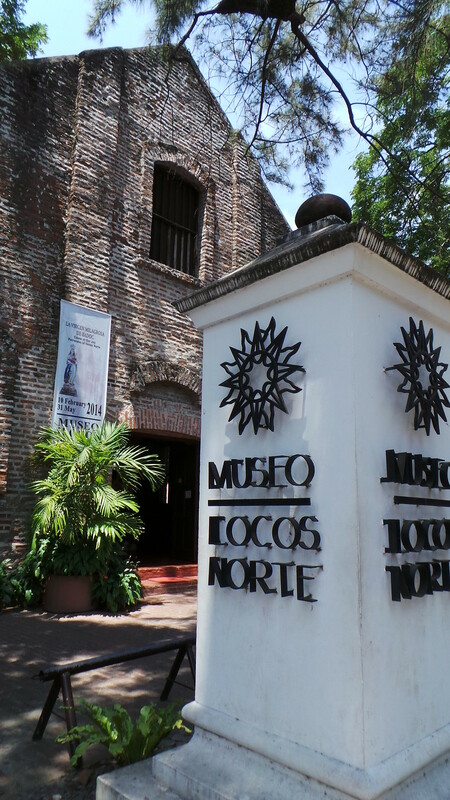 Our first stop, Museo Ilocos Norte in Paoay. 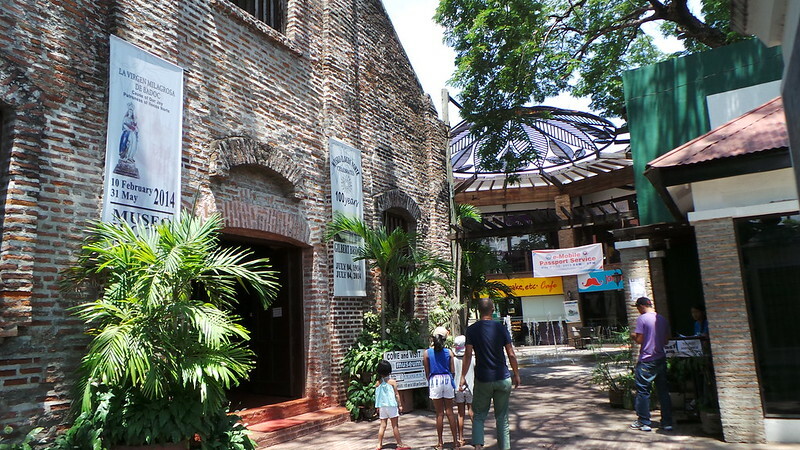 It was an old tabacalera warehouse during the Spanish period. 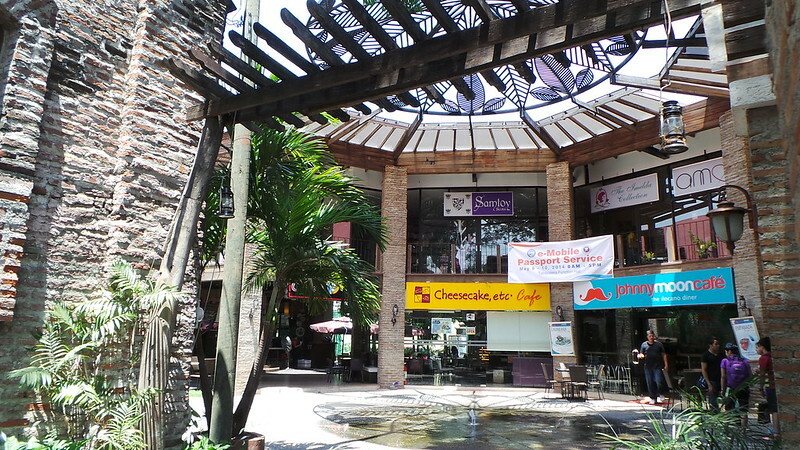 Right beside it is a retail and entertainment complex. 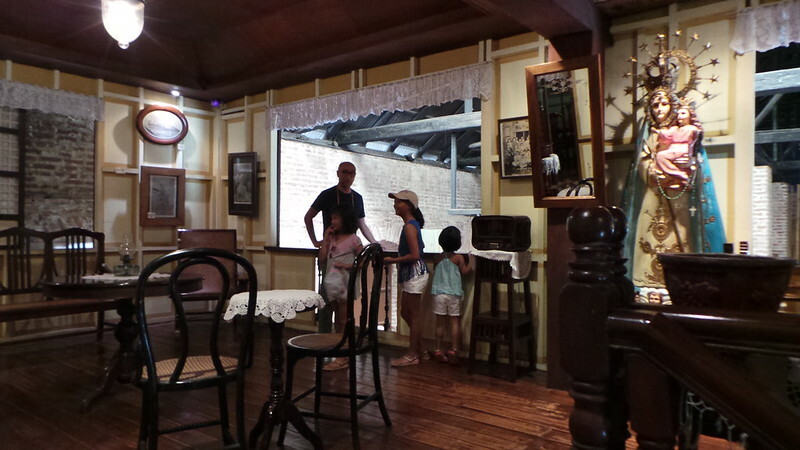 We had merienda at Johnny Moon Cafe after the museum visit. The museum is well-curated. 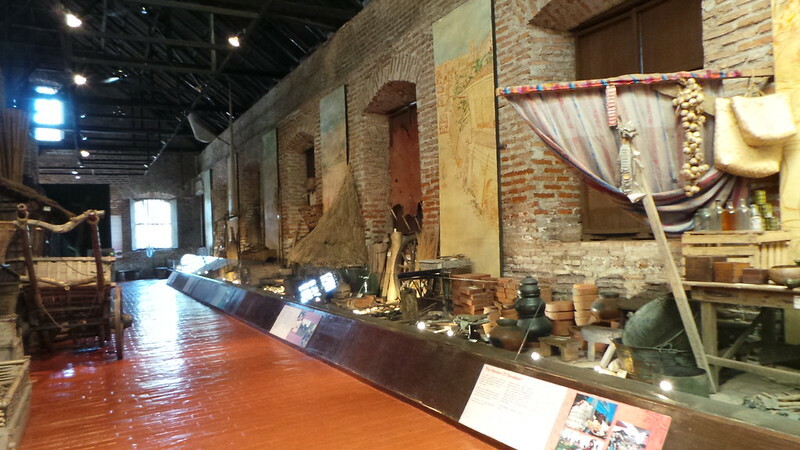 It features the heritage of Ilocos Norte – abel weaves, tabaco farming, basketry, fishing and a small “ancestral house”. 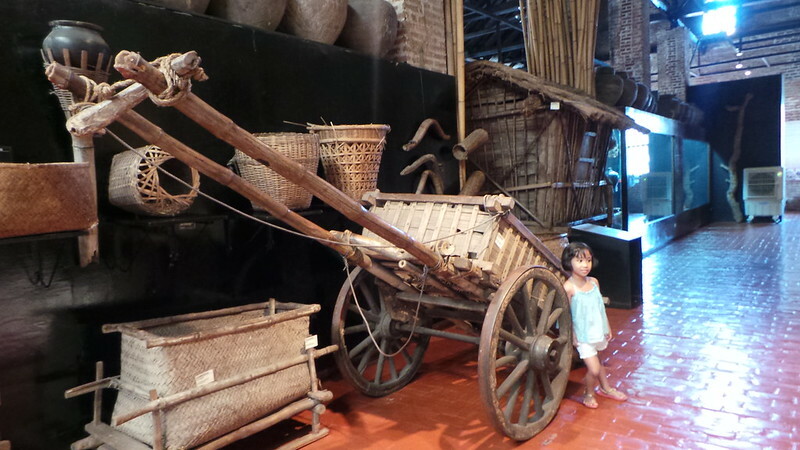 Stella and an old cart used to transport farm produce. 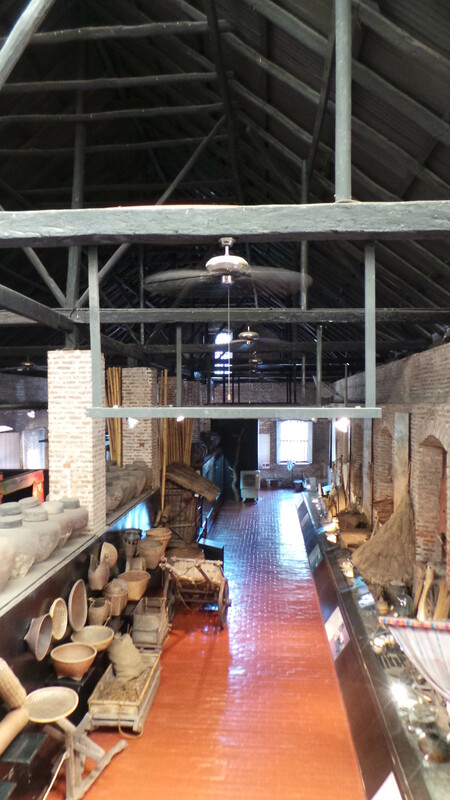 The building isn’t air conditioned but it is very well-ventilated. 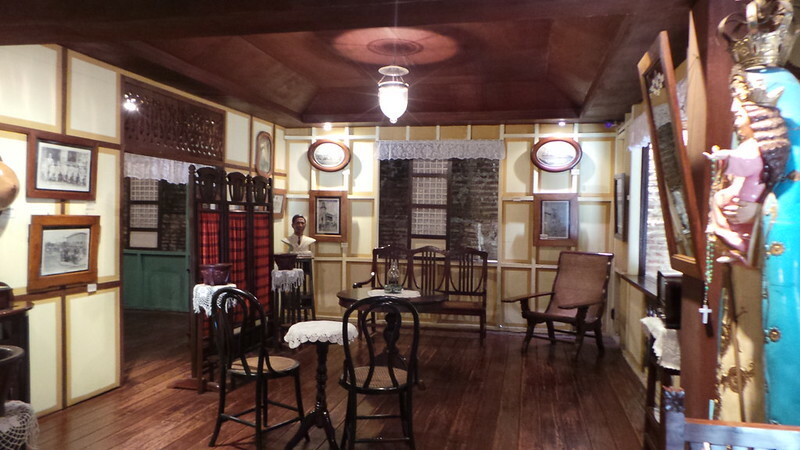 This is the small Filipino ancestral house inside the museum. Stella said, “It looks just like our house.” Haha. 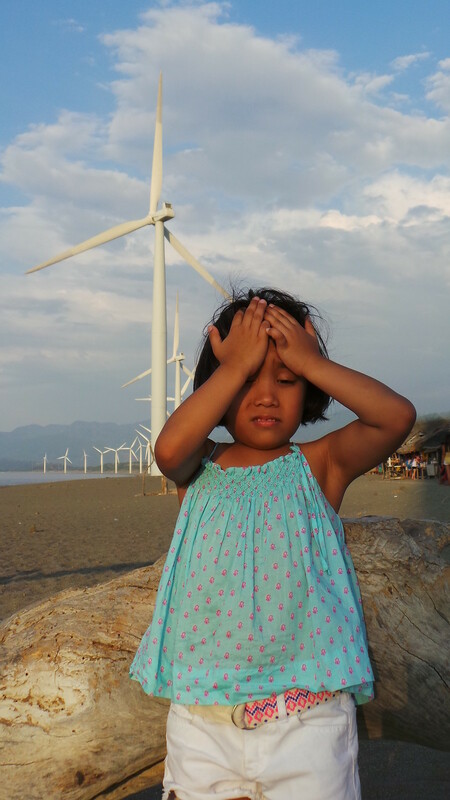 Yes, we live in a bahay na bato-style home. 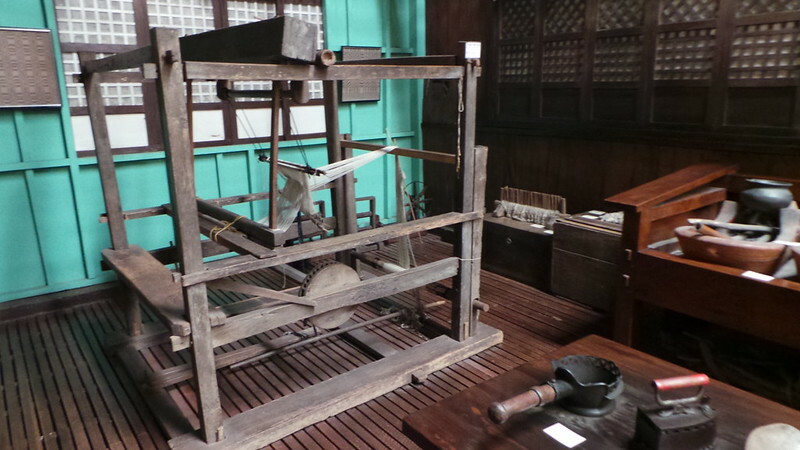 There is a small loom. Out side the museum complex is this beautiful canopy with a jumping fountain. 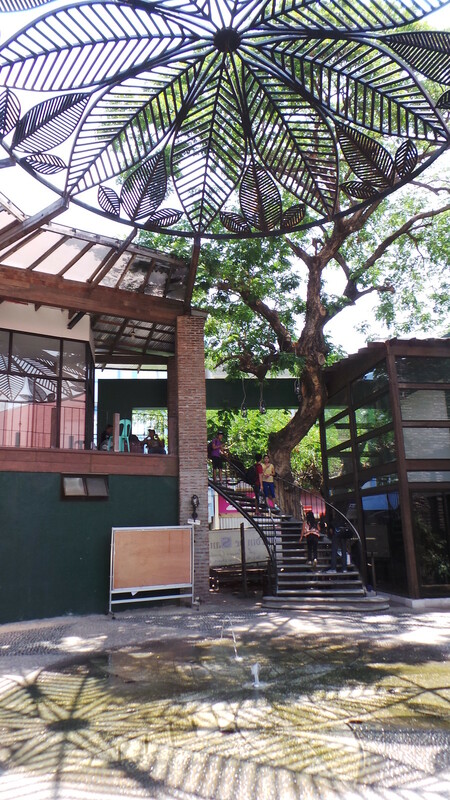 After Museo Ilocos Norte we went to an abel weaving co-op. This was the work space outside the home of the co-op leader. That is Nana Charito. 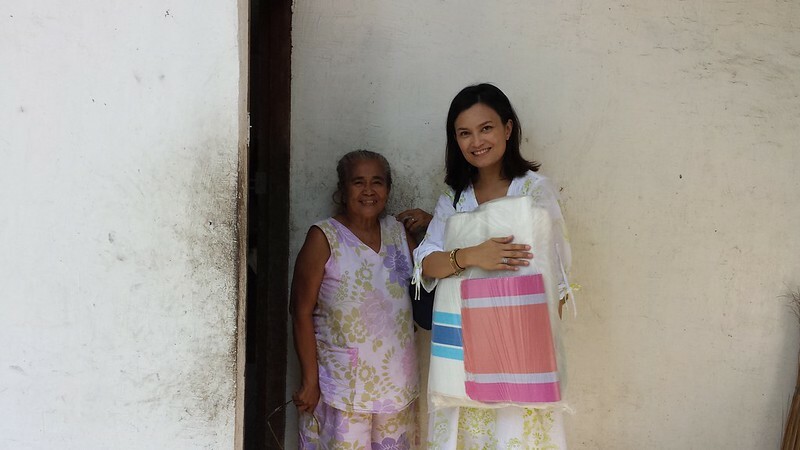 She has made her living as a weaver of abel iloco fabric. I bought this huge blanket. 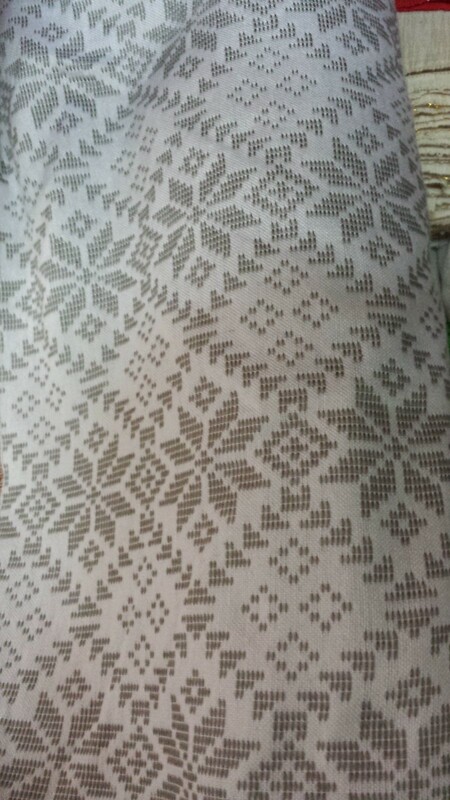 Loving these patterns. 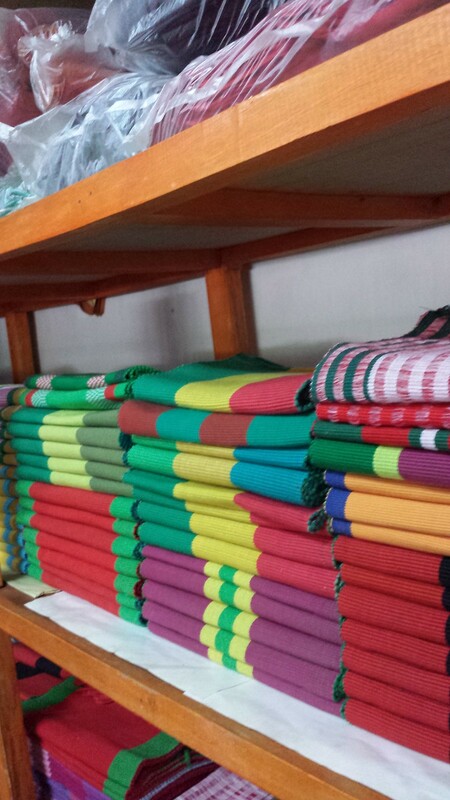 All woven by hand. Nana Charito drove a hard bargain. She didn’t give us a discount. But she gave each of my daughters an abel pouch. 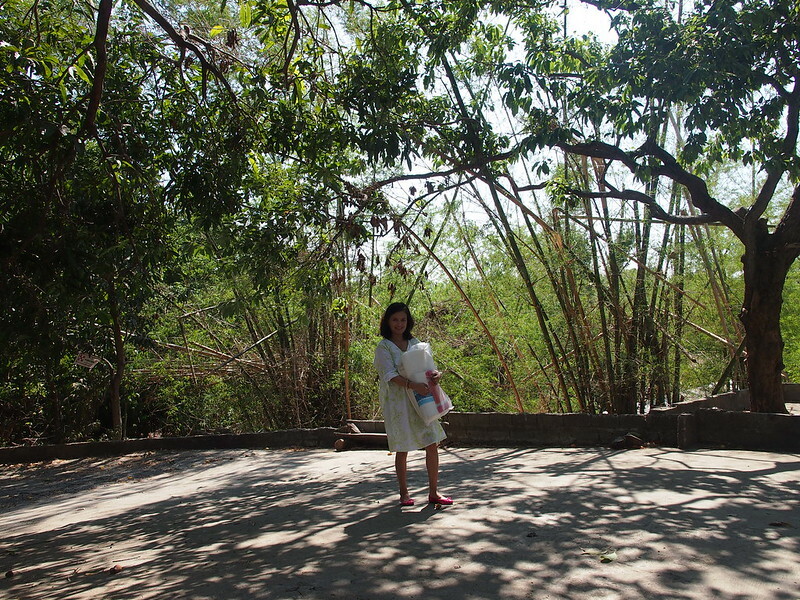 Her place was surrounded by lush bamboo greenery. 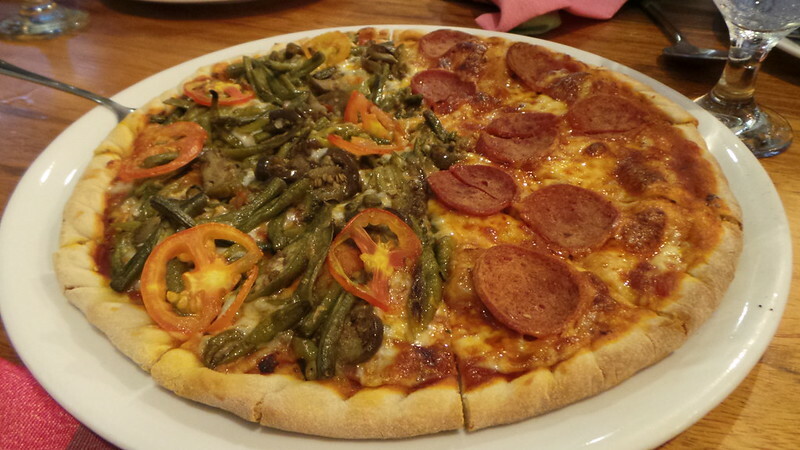 Something I had to try – pinakbet pizza at Saramsam Cafe. The other half was plain pepperoni so the kids could eat it. 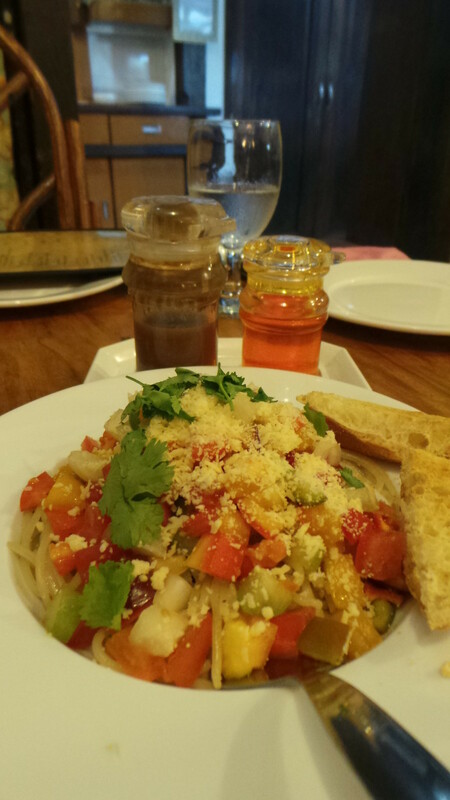 Another great dish, the Saramsam pasta – drizzled with chill oil and bagoong. 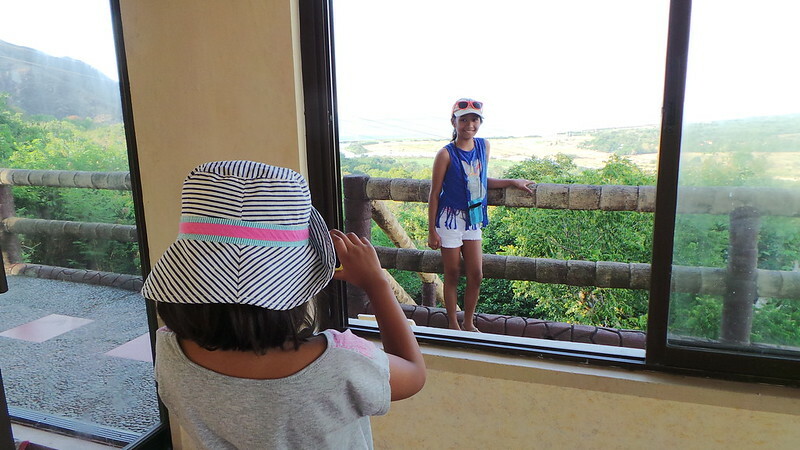 After late lunch, we did the long drive past Burgos. We stopped by the tourist information centre to take pictures and buy snacks. This was the view from the Tourist Centre. 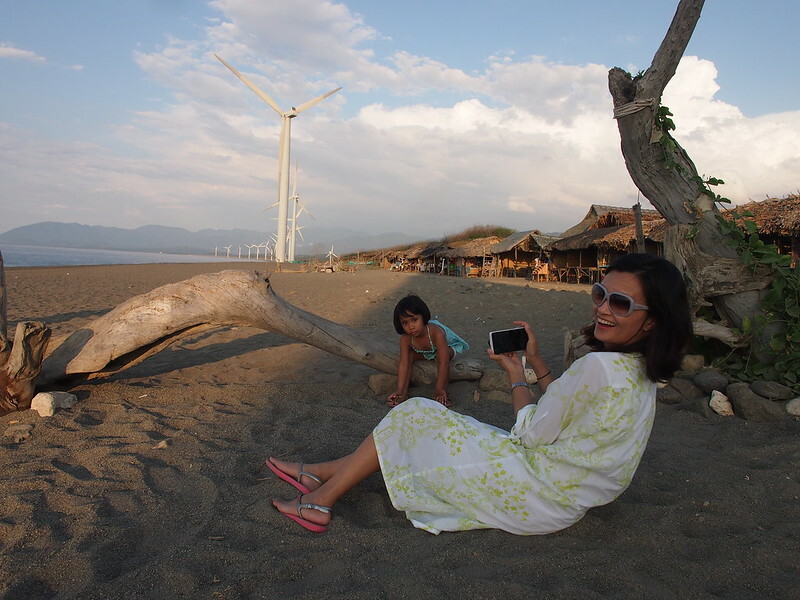 Then we went down to the beach of Bangui. 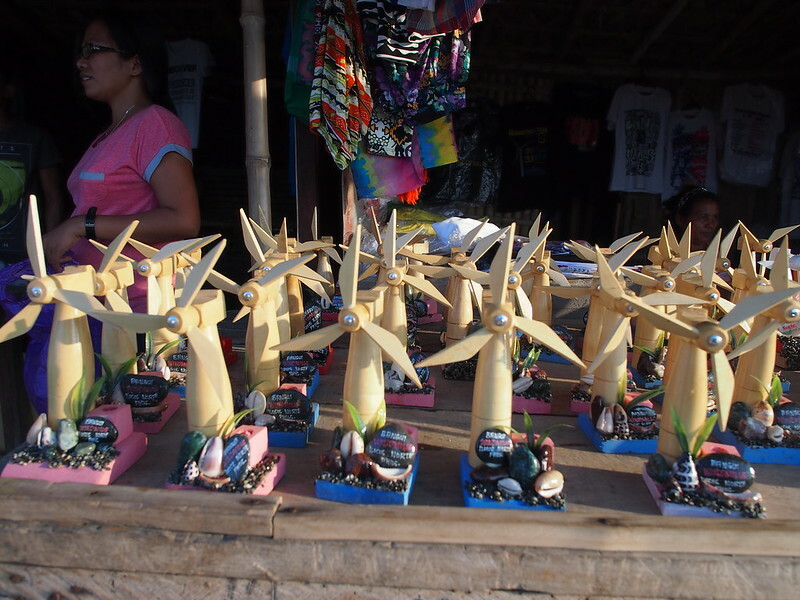 These windmills were enormous! I took solo shots of everyone. It was approaching “magic hour.” I love how everyone’s skin just glowed because of the sun. We are those people who cannot do jump shots well. Believe me, we tried many times. Haha. It was pure torture for her to keep still. She wanted to run around. 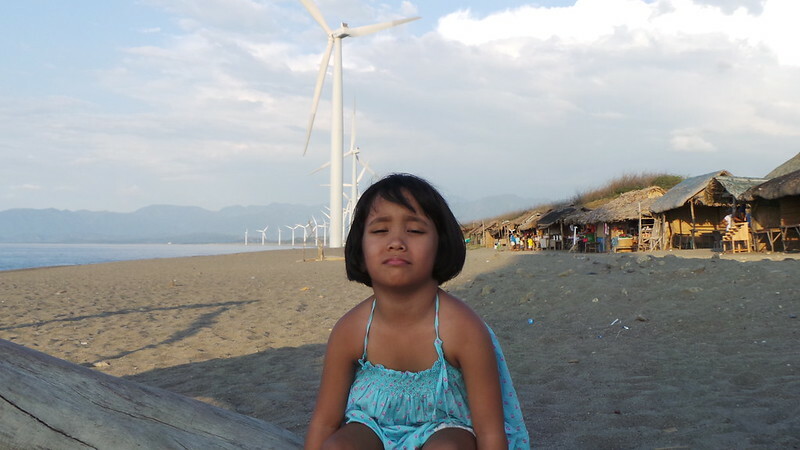 And the sun was getting in her eyes. But mommy made her suffer. Haha. Bangui was beautiful! Sunset would have been stunning, I’m so sure. 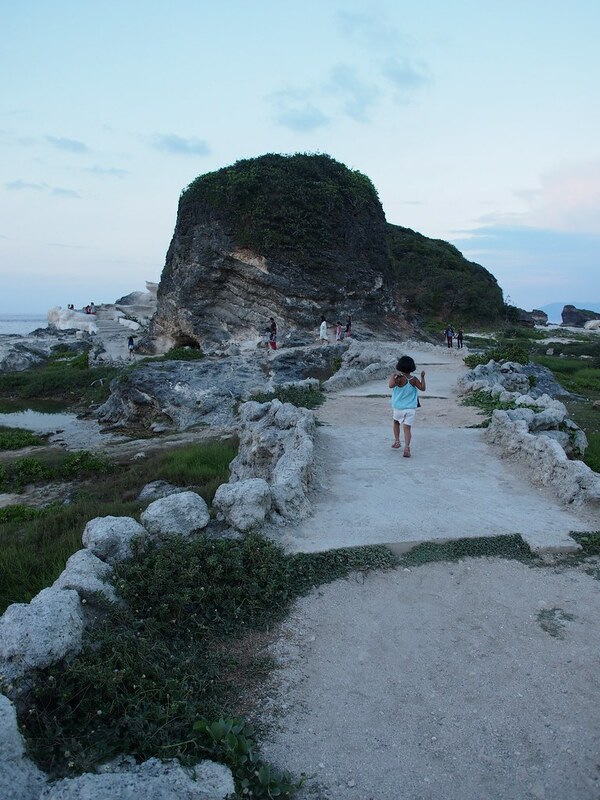 But we had to rush to the next town to see the rock formations. 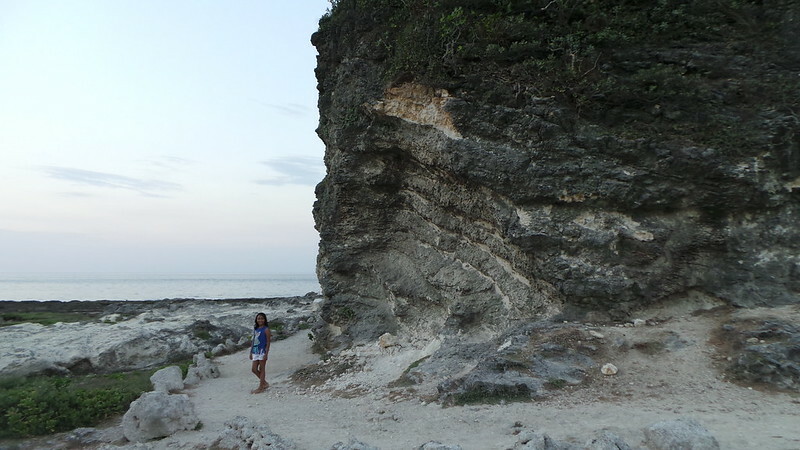 We got to Kapurpurawan just before the sun dipped. 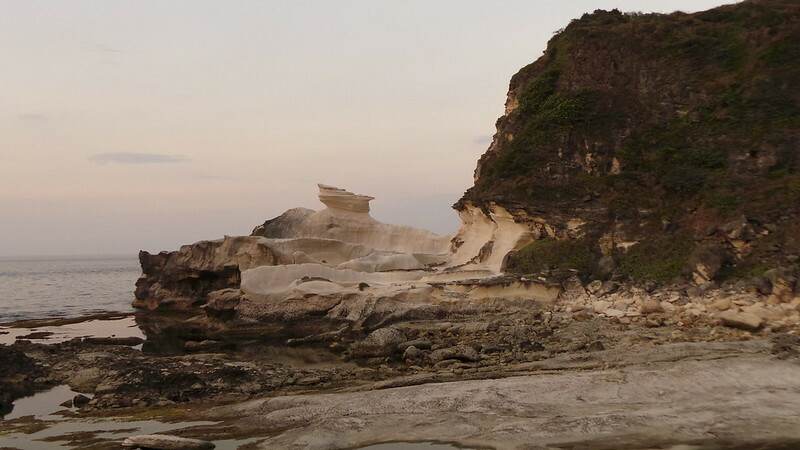 We all ran to the tip of the shore to see the creamy white limestone rock formations. The rocks have been naturally sculpted by waves. 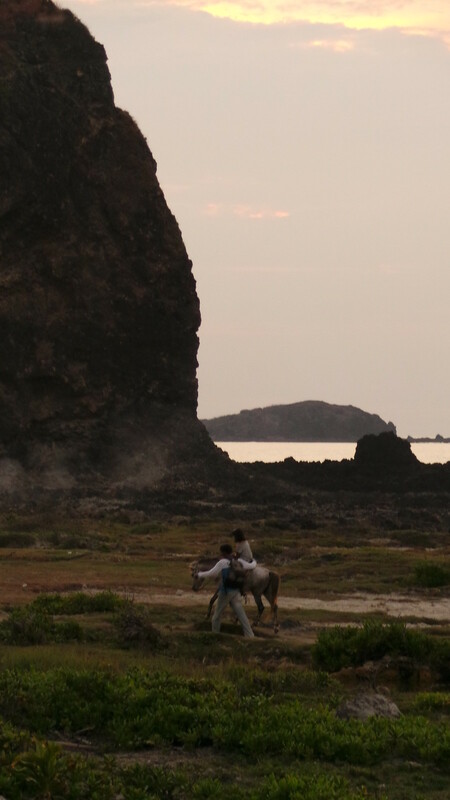 The kids returned to the base of the steps on horseback. 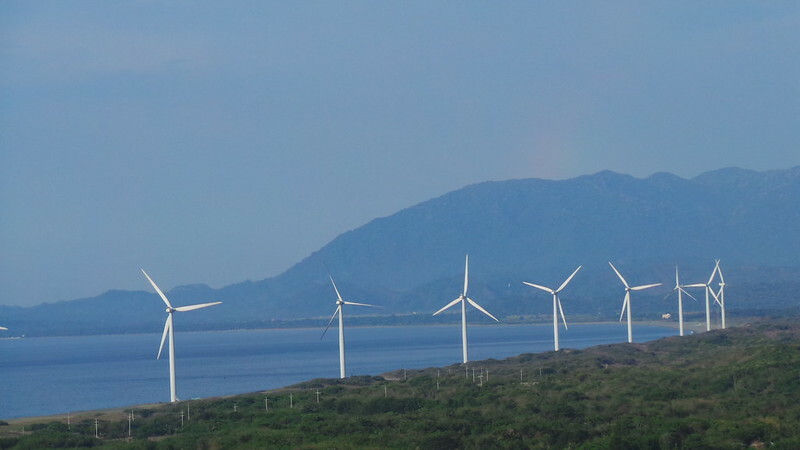 For information on Ilocos Norte Tourism check out www.tourismilocosnorte.com. 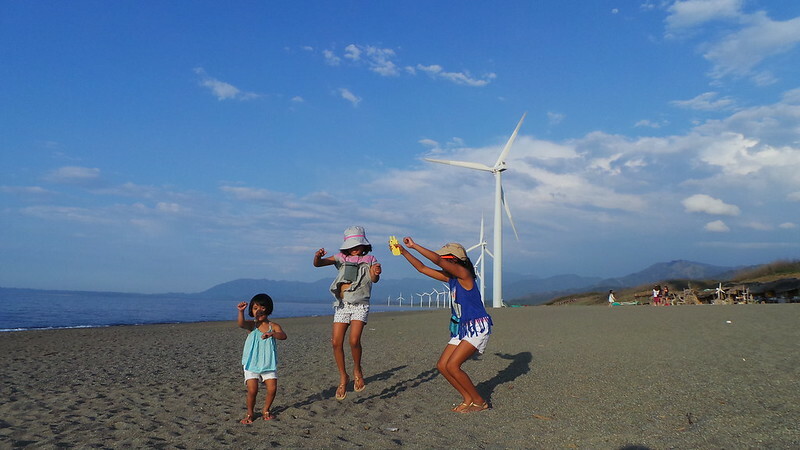 Part One of my Ilocos Norte Diaries here and Part Two here. Third part here. 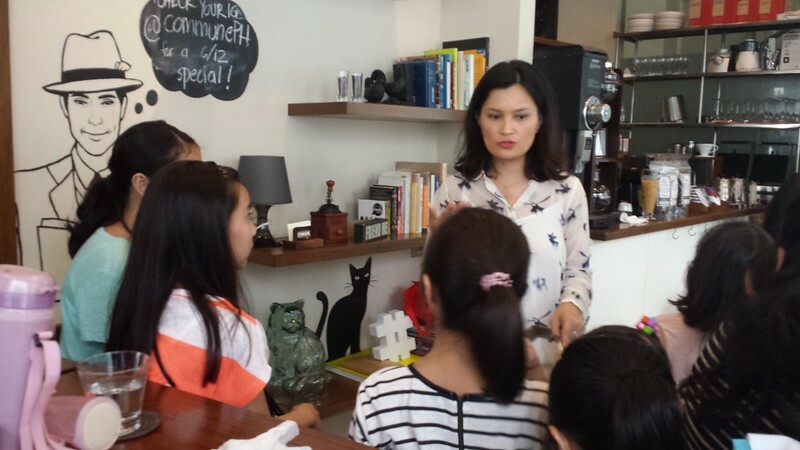 The girls wanted to know how I got my dream job (or jobs). 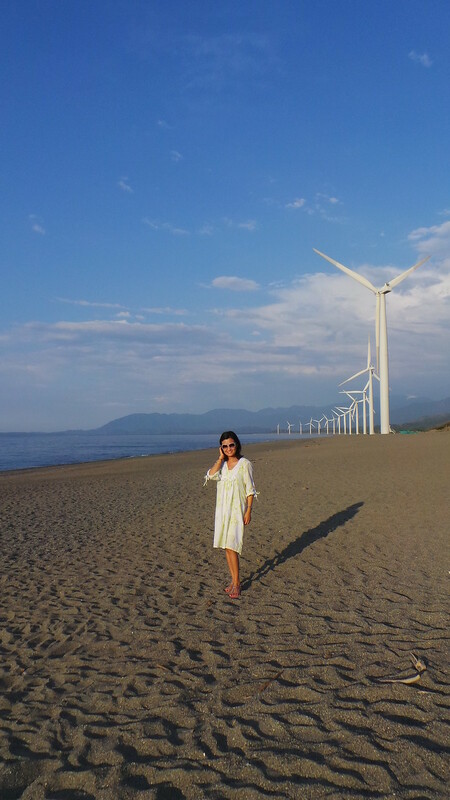 I walked them through my long TV career — from how I started as a reporter to how I became a TV host for the shows F, Proudly Filipina, ANC Life, Guide to Urban Living and to eventually produce and host Urban Zone. 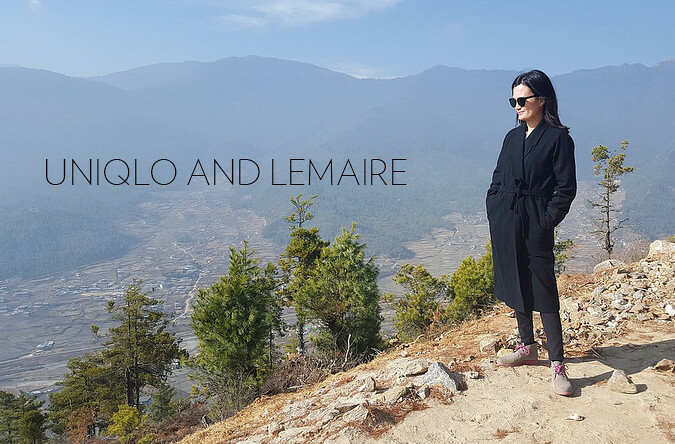 I also talked about how I got my brand collaborations and how I started this blog. 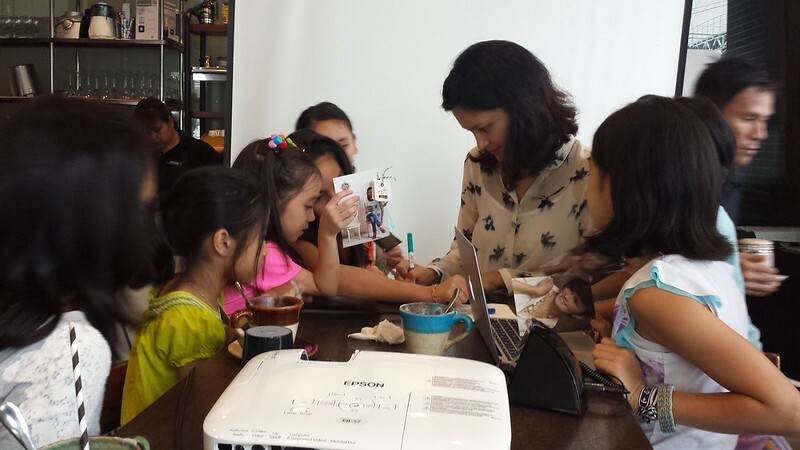 My language and delivery were much simplified because I wanted the girls to get my story. I shared some lessons like all the good things happening to me now (like the Taylor Swift interview) are results of many years of hard work and mastering my craft. 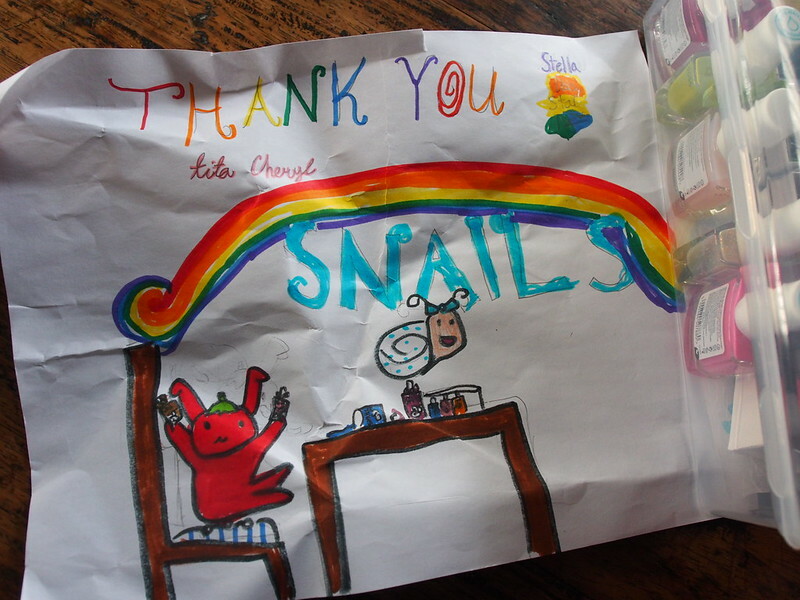 And one thing I want them to remember – never be afraid to ask for what you want. 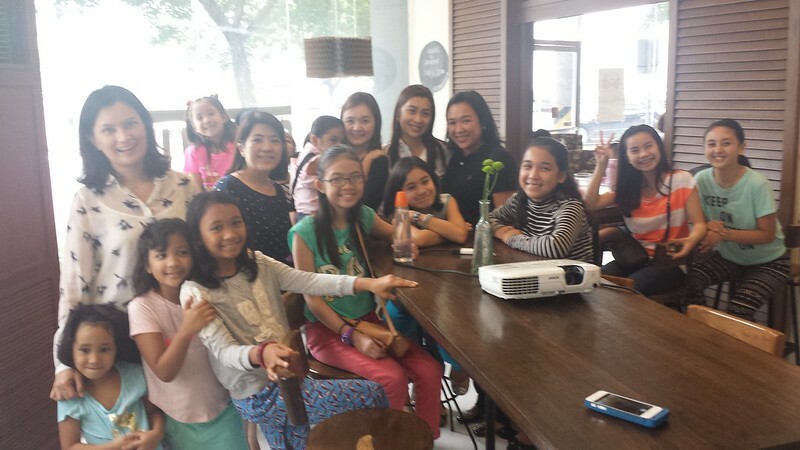 I loved seeing the faces of these wide-eyed girls with big dreams! It was a privilege to share my story – that nothing is impossible if you are determined, focused, willing to learn and work hard. But you have to be smart too. Education counts. 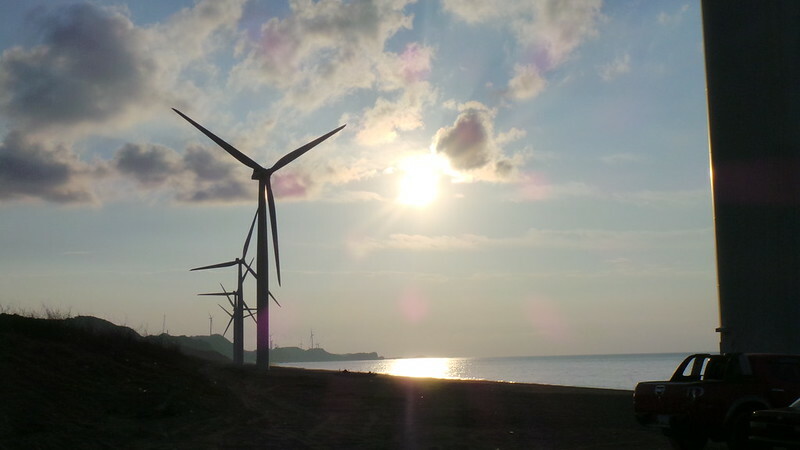 Even though I didn’t end up in the field that I studied, having my degree a good university gave me confidence to try new things without being afraid of failure. There was no road map for this journey that I chose. No one new that blogs would be considered a valid form of media 10 years ago. I didn’t know how to get DAPHNE products out in the market. In my TV work, I’ve had doors close on me. I’ve handled disappointment. I was told that what I wanted was impossible. 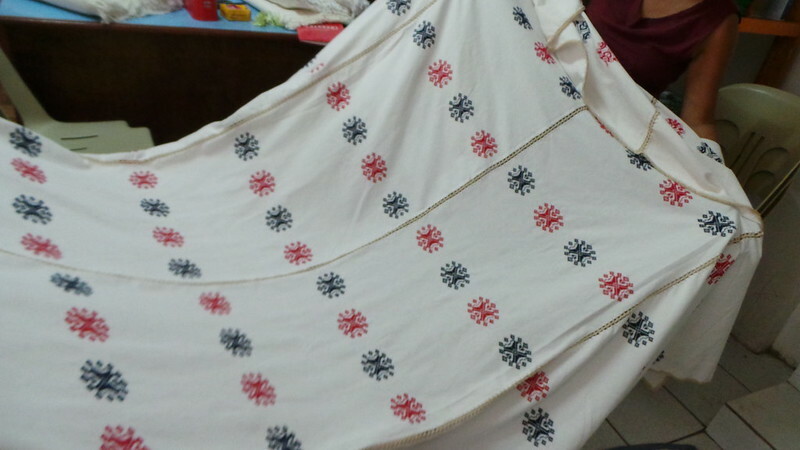 But continued doing what I loved doing which was telling a story – using words, pictures and videos. Everything else followed. And I still love what I’m doing. Commune baristas make the cutest latte art. 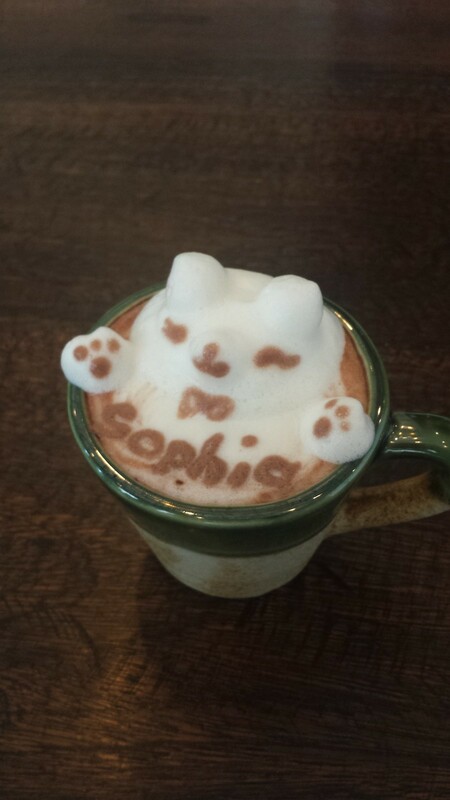 Here is Sophia’s cup of hot chocolate. 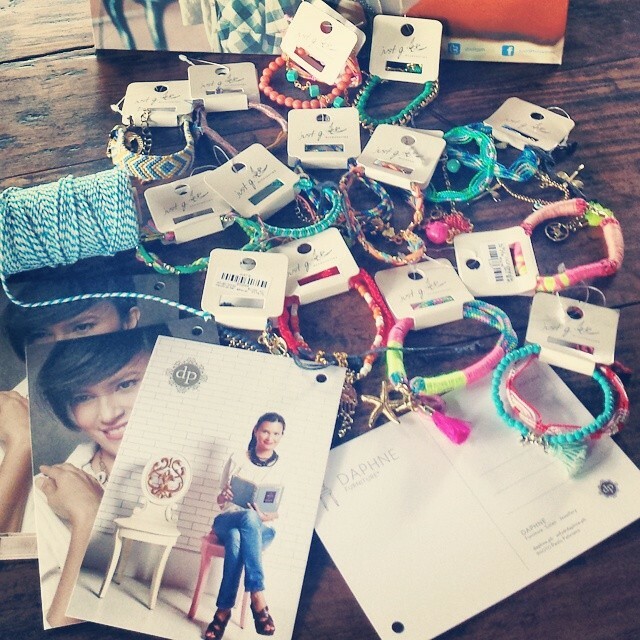 All the kids and moms received bracelets from my sponsor Gingersnaps. **This post contains links from a site partner. I will be compensated if you make a purchase after clicking on my links. Yesterday, my instagram feed was filled with photos of the new Karlie Kloss Collection** at Warby Parker. Fresh and flattering glasses that are lively and graceful – with a nice help of personality. Warby Parker is that purveyor of cool “non-designer designer” eyewear at a price that is friendly to everyone. We’re talking vintage-inspired top quality frames and lenses (even prescription) starting at $95. Karlie Kloss didn’t reveal the collection in her instagram until yesterday, but she’d already been spotted early in May wearing her Warby Parker line while strolling through NYC with her BFF Taylor Swift. I didn’t realise these two were super close friends. 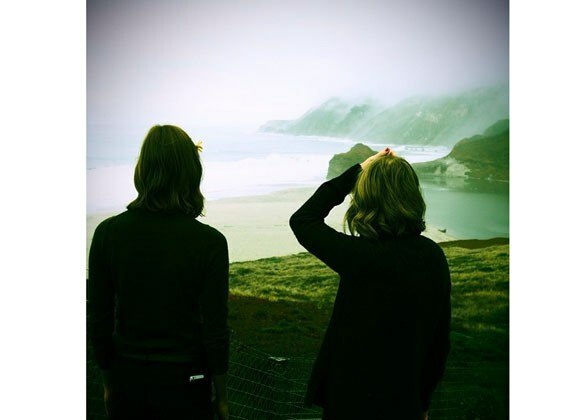 Check out photos from their recent road trip as seen in Taylor Swift’s and Karlie’s Instagram. Girl crush! This sunwear collection benefits Edible Schoolyard NYC, an organization close to Karlie’s heart that builds, maintains, and staffs garden and kitchen classrooms in low-income public schools. The collection includes includes 3 shapes, 2 colors each, featuring ultra strong and lightweight japanese titanium. 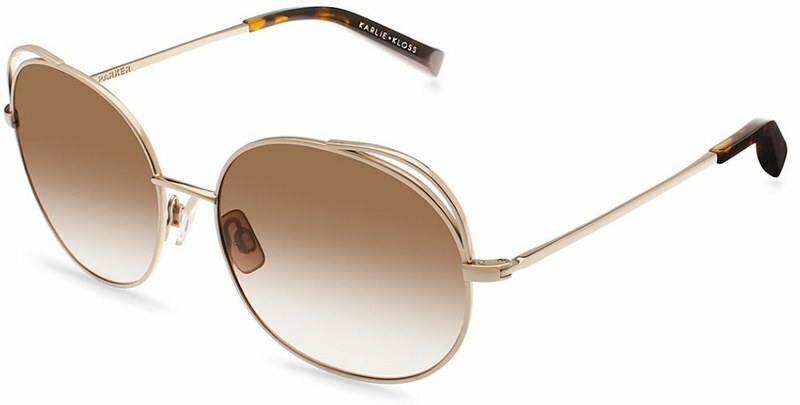 Each frames comes in both silver and gold metal with a colorful lens. At only $145 each, this limited edition collection is sure to sell out fast, so shop at Warby Parker now! Limited edition Karlie Kloss x Warby Parker on sale now, $145 each. Karlie is wearing her Marple in Heirloom Silver with Faded Slate Lens. 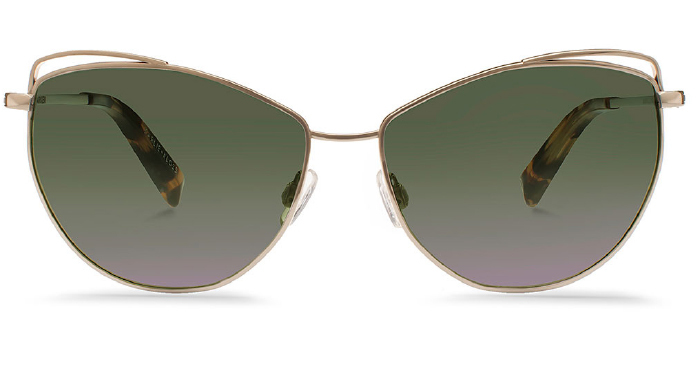 Marple features semicircular lenses and an upswept browline. It’s a little offbeat and a completely appealing. To celebrate this great partnership, Warby Parker is donating to an organization dear to Karlie. Edible Schoolyard NYC works with low-income NYC public schools to build kitchens and gardens where they teach students to develop lifelong healthy habits. The donation will benefit two community farm stands in Brooklyn and East Harlem, where kids learn about food preparation in their own neighborhoods. And as always with Warby Parker, for every pair sold, a pair is distributed to someone in need. 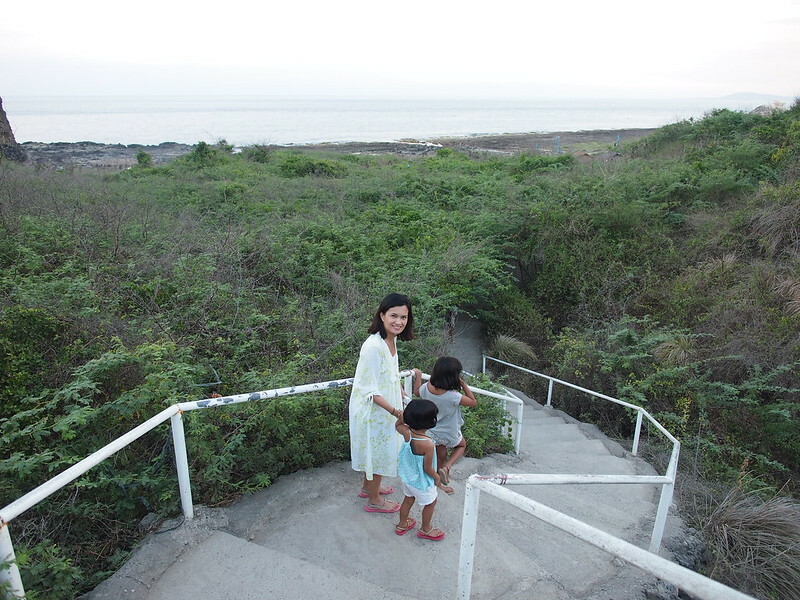 Last month I appeared in HOLA magazine’s story on Power Moms. I wore my own strand of golden south sea pearls from Jewelmer. This piece is so special. I had it done so that I can wear the piece as a choker and bracelet or as a longer necklace the way it’s shown here. 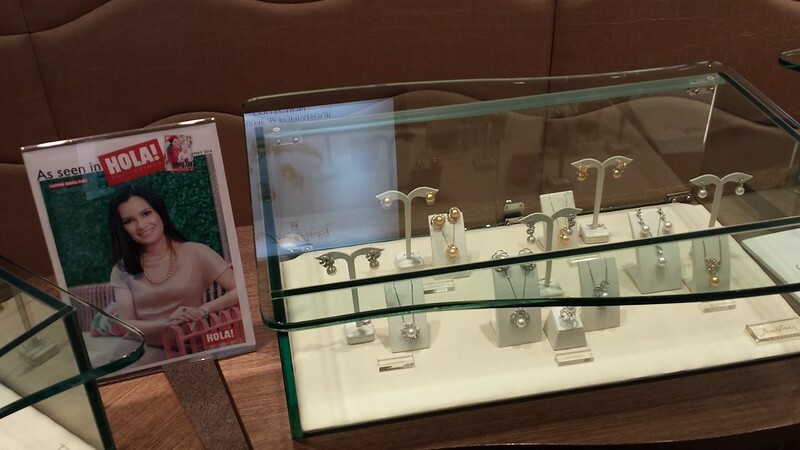 Jewelmer used the page from HOLA in their stores. It was a pleasant surprise. 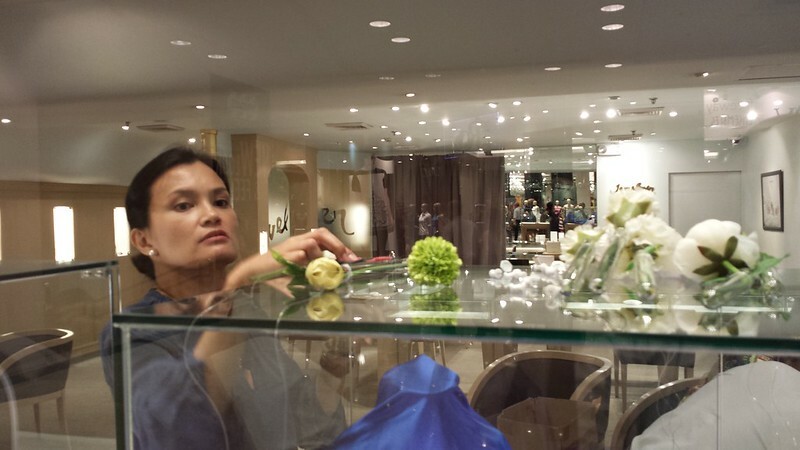 I saw them when I styled the windows of seven Jewelmer branches. 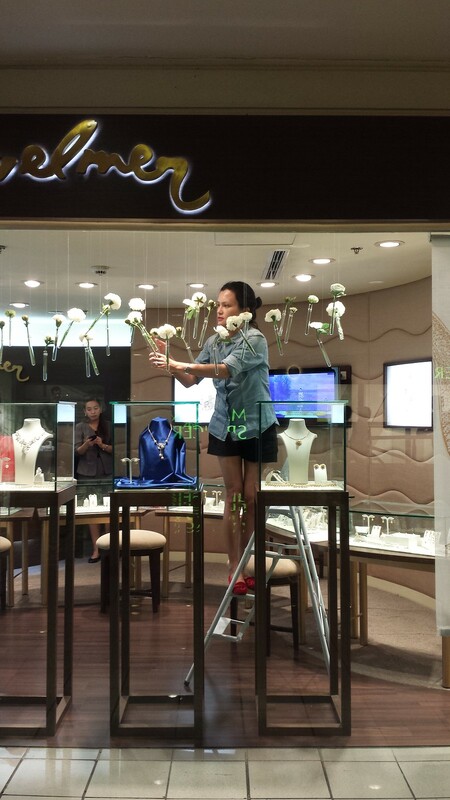 I had the honour of being asked by Jewelmer to style their windows. I’d never styled a window before. But I accepted the challenge because it’s for a brand that I feel so attached to. 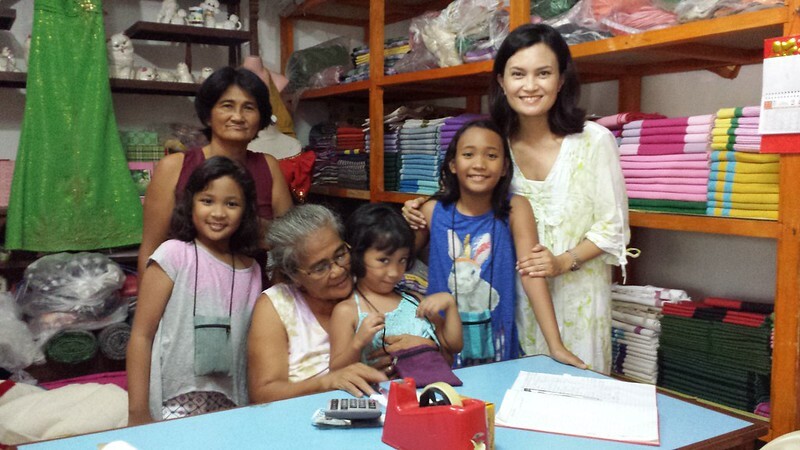 They had done a similar project with Rhett Eala and this season Amina Aranaz and I got invited. There were some basic guidelines but we were given full creative freedom. Amina did six branches with her design concept, I did seven of mine. 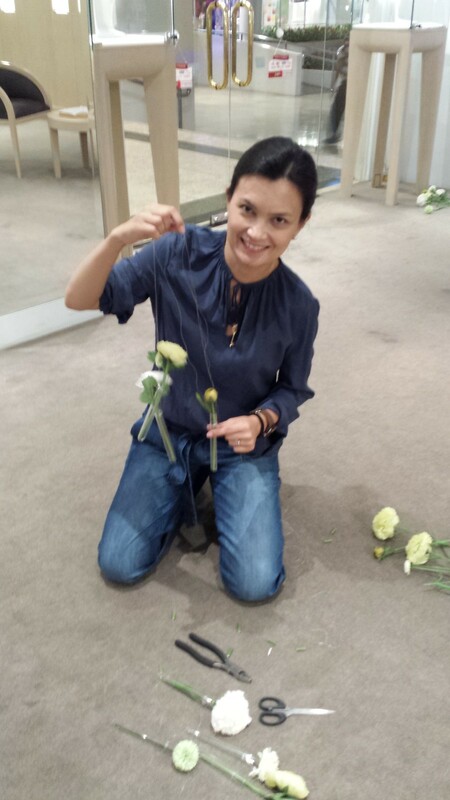 I initially wanted to work with real plants but they turned out to be too heavy. There was one practical limitation. If we were to hang our designs, they had to be light enough for a push pin and nylon thread to hold. So I nixed the plants idea. 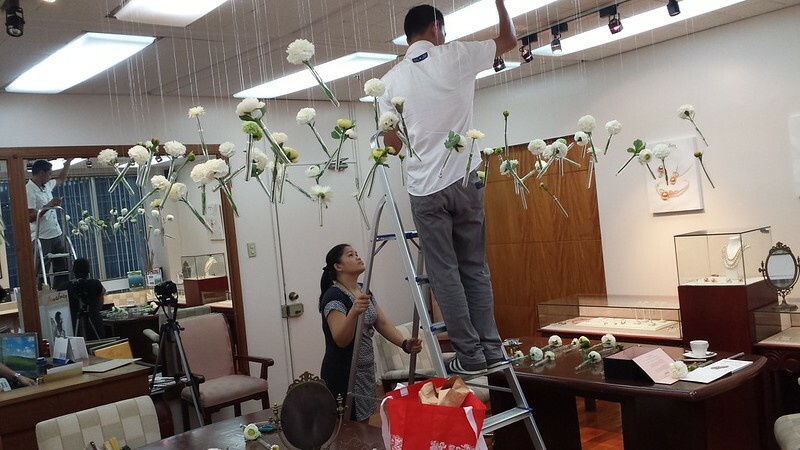 While I was conceptualizing the window, it was approaching Mothers’ Day and I took inspiration from that. I wanted a window that was lovely, fresh and something that represented both the strength and fragility of a woman. Then I remembered back when I was the editor in chief of Metro Weddings, one of our guest contributors styled a wedding shoot using test tubes and liliums. 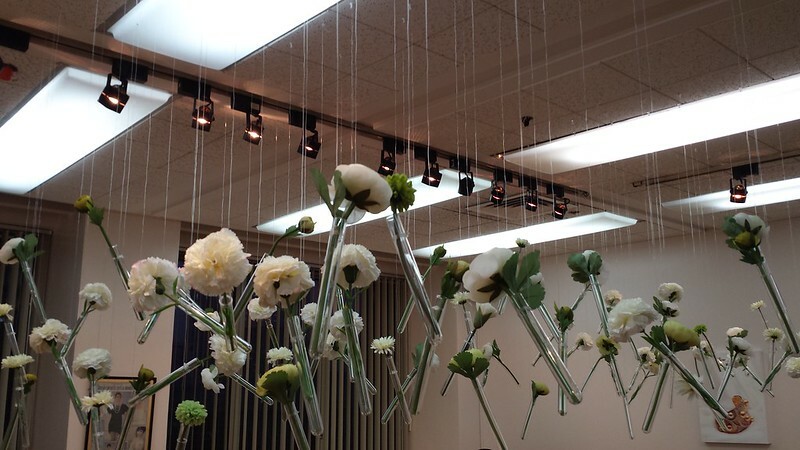 So then I thought, how about hanging an exaggerated amount of glass test tubes each with a different white flower? 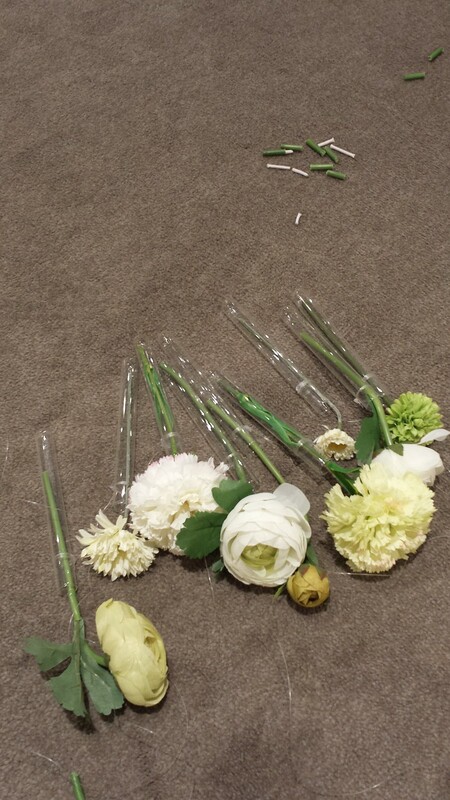 We couldn’t use real flowers because that would mean water inside the glass, hence extra weight. So I searched for the loveliest silk flowers. The effect would be a floating flower garden with thin glass reflecting light. 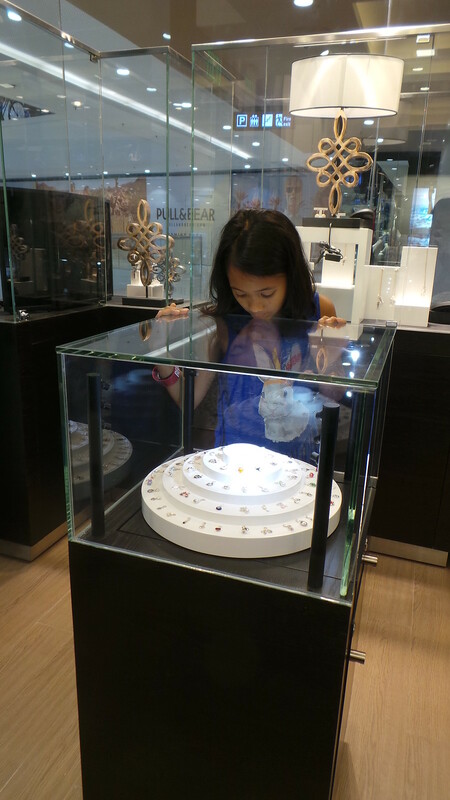 I got a lot of help from the Jewelmer team. 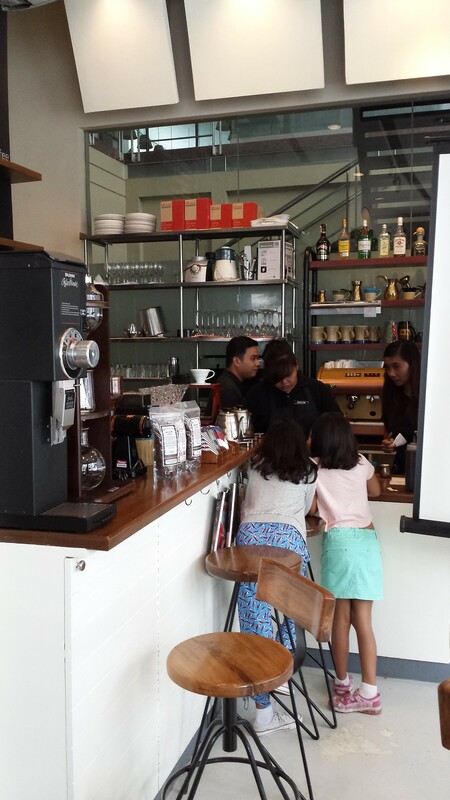 Here are Tina and Jevan at the Shangri-la Edsa Plaza store. Jevan hung the glass tubes while I adjusted the height randomly. 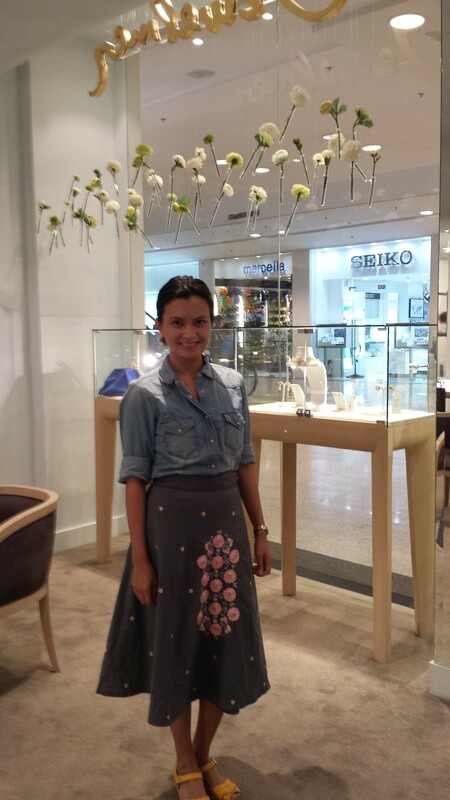 This was taken in Glorietta, my first installation. I wasn’t actually sure if my glass tubes would stay in place. They did. We used over 400 test tubes for the seven stores. The team at the head office. 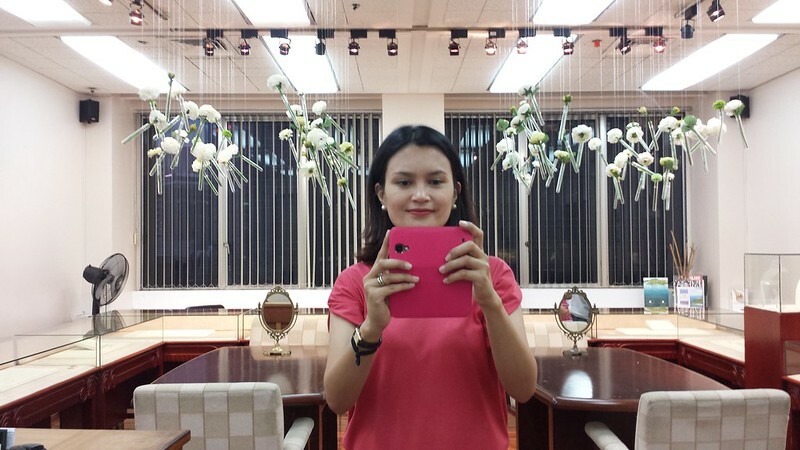 Here’s what the main showroom at the corporate head office in Makati looked like after office hours. 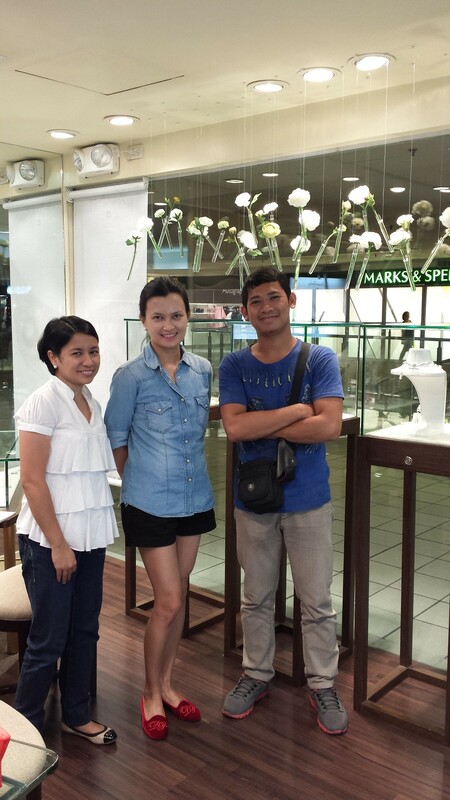 I went back to visit the Glorietta Jewelmer branch. I had to have a souvenir shot. You are all welcome to take pictures of the my Jewelmer windows. Feel free to upload them in Twitter or Instagram and just tag #jewelmer and #jewelmerdaphne. 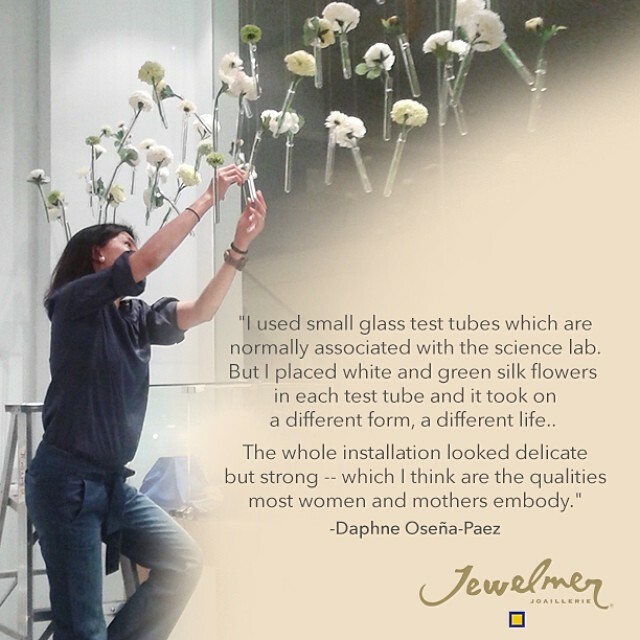 The Jewelmer Daphne window installations can be seen in the following Jewelmer branches – Glorietta, Trinoma, Alabang Town Centre, Shangri-La Plaza, Makati Shangri-La Hotel, Head Office showroom, and Ayala Center in Cebu.